I studied diplomacy at university then surely tourism was not my major, yet, right after graduation I decided to be a travel consultant. After two years in this industry so far, I know that my choice is right. It is definitely not an easy job as being an inbound travel consultant, you will work with people from different countries all around the world with different time zones, cultures, habits and sometimes even languages (in this case google translate will be a helpful tool). And do not like other popular occupations, a travel consultant is sometimes required to work even on holiday or at night. Still, forget about all the challenges, there are many little joys that make me enjoy being a travel consultant every single day. Firstly, the chance to learn about different cultures. It is very lovely to finally put a face to the name when clients manage to meet up with me briefly during their time in Hanoi. After just working with each other via email, sometimes even for months, meeting clients in person is always a nice surprise for me. The funny thing is that through formal exchanging emails, some thought that I was a middle aged lady and then I turned out to be a young girl at my early twenties, we often have a good laugh over that one. Besides sharing about their travel experiences, we often also talk about a lot of things, from the different education system between the two countries, average wages and sometimes we even complain about government’s tax. It is very interesting when the first time my clients who are now my dear friends from Italy give me a couple of pecks on the cheek when it’s time to say goodbye. This is just one in a million things that I found different from an asian country like Vietnam. Being a travel consultant give me a great chance to discover different cultures in the world and that makes my job an enjoyable one. Receiving lovely little gifts from clients is also a joy of being travel consultant. Have not yet travelled to many countries, still my friends often jealous with my little collection of souvenirs from Australia, Canada, Italy, Israel, etc. My little treasure including an australian aboriginal plate, 1972 6 coins of Israel Official Mint Set Collection, keychains with unique image of Napoli, Italy and many other lovely souvenir. It is always a big surprise and happiness when clients take their time to choose such meaningful gifts and bring them from a million miles away to Vietnam for me. A lot of opportunities to travel for free. Being a travel consultant means that you have to know well about the routes and services including hotels, cruises, restaurants, etc. 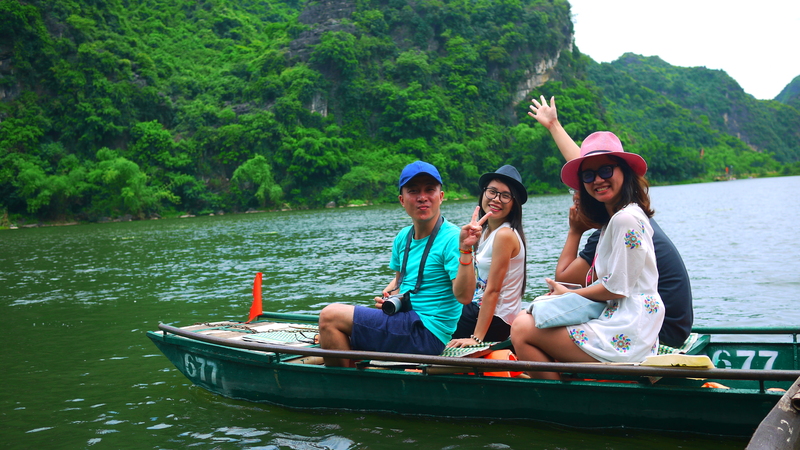 During the low season, we are offered many chances to inspect nice cruises on Halong Bay or Mekong River which others may need to pay hundred of dollars to go on. Each year, we take turn to go on oversea inspection trips in Indochina region, from Cambodia, Burma to Laos and Thailand. 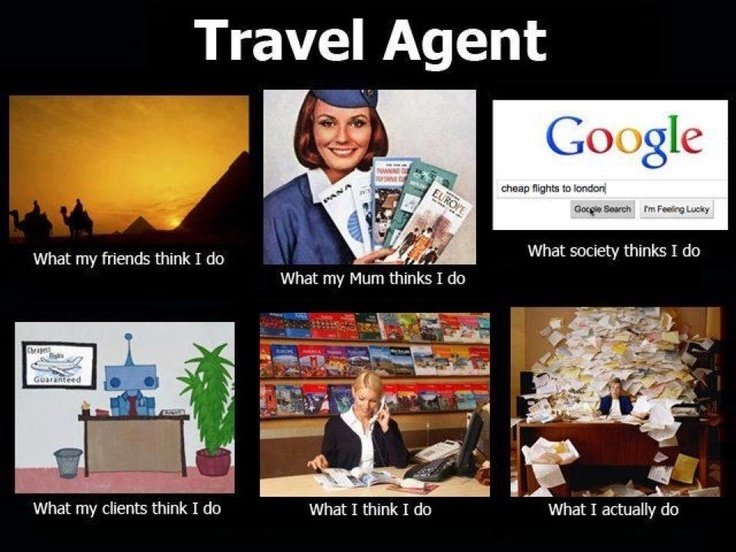 Travel Consultant – What do we do? One day, you look into your timetable and realize that you’re going to have a long holiday. Why don’t we travel somewhere? Why don’t we come to swim in the deep blue sea in Pacific Ocean and bath under the sunshine on a beautiful island? Or go climbing/hiking in the mountainous area? Meeting new people, learning a new language and see how large the world is. Yes, you decide to have a great trip ever! You eager to explore the cities, the beautiful landscapes, the unique culture, etc. You started searching about the place you would like to come. Unfortunately, before bathing in the real ocean, you have to swim in an information ocean first – things to do, what to eat, where to live. There are too many choices and other people’s comments on TripAdvisor and doesn’t help much- you don’t have enough time to read everything and you become frustrated, don’t know what you’re looking for. More than that, Monday is coming and you’re too busy with your schedule, housework, meeting, exam and other things. It is the moment you need a Travel Consultant. Becoming a Travel Consultant, like other jobs in the service department, the most important skills are listening – we listen to our customers like we’re listening to our friends sharing her/his problems and wishes. A good travel consultant will assist you, ask you some important questions, and based on your information, will suggest the itinerary, amend it until you satisfied. They recommend appropriate hotels, quoting the price and answer almost the questions related to your trip. Checking the availability, book the services, prepare needed documents, keep contacting with suppliers and make sure the service is done properly during your trip. Informing changes and handling problems occurred. That’s the main work of a travel consultant. So, have you ever curious about the pros and cons of this job? To be a Travel Consultant, we need to practice calming skills. We are trained to be patience, patience and patience – always be kind and cautious with our customers. Looking at our neat and polite emails, you may not know some stories behind it. Sometimes, it can be a hotline call coming at midnight, or an urgent request. Working with customers coming from other countries, we follow the time zone of our customers. Sometimes my friends kept asking what I was doing on my phone while having coffee with them. Or refuse a dinner date because a new request arrives at 6.pm, right before the check-out time. Sometimes it’s about a sudden storm, that makes the itinerary become a mess, or the cruise trip has been canceled. Then when our guests get angry, it will be our apology the very first. Sometimes it was a disappoint when we follow 20 emails to assist our guests, chatting and discussing at any time, then they turned their back away, not leaving a line to say goodbye. Or the feeling of feckless in the peak season when all the cruises or hotels are full of occupancy – and we have to say sorry because we didn’t help much! Life, love, and job – they all seem like a chocolate bar – bitter and sweetness mixing together. Among the depress days, there are joyful days. It is because we’re working in the service department, that we have lovely colleagues, who are understandable and ready to support us anytime we need, not about knowledge and work, but about balancing life and creating motivation. And we also have a great network connection with so many suppliers, that willing to help to check the availability at midnight and arrange urgent services. We are not alone! The inspection trip is always the interesting part – we’re offered the good accommodation with cheap prices, taste delicious food, go to the new places, see the famous sightseeing – that make us feel lucky (even just one or two trips for a year in low season, we’re still happy for that). But, above all, the best motivation is our customer’s compliments. 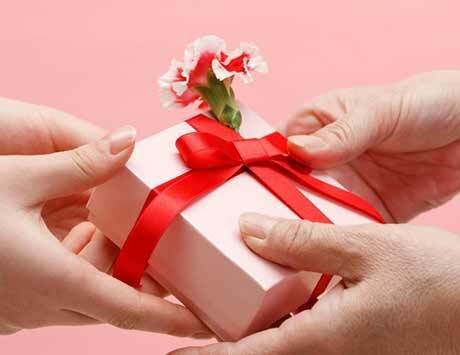 Believe me, there is nothing – even free trips and the salary – greater than good comments. It is so meaningful when we know our work is appreciated and we’re helping someone to have great experience and memories in their life. Even you don’t book the services with us, we always thank you if you drop a line sharing your decision. We can’t express our thanks to the gifts from our customers. It might be just a small statue or a box of chocolate, or stories about your country – we love everything. My close friends and colleagues said that it’s hard for me because I sometimes over sensitive, but I would rather love doing a job giving me feelings and inspiration, and Travel Consultant is a job like that up until now. How do you think about Travel Consultant? Do you have anything to confess? I would love to hear your comments. Thank you for reading and hope you a great day. Should we change the Lunar New Year? We just get back to work after Tet about 2 weeks and I have to say we still feel the atmosphere and the spirit of the holiday, which is a bit lazy and not fully concentrate on working. As many years, Vietnam government have had in mind an idea of changing the Lunar New Year , to combine Tet with the New Year Eve with many other countries in the world. They have their reasons and they are not completely wrong. We normally have 9 days of celebrating Tet. This could be too long, not to mention that Tet is after New Year Eve a month so we could get two holidays back to back and the affects to working time with foreigners because of the different celebrating period. If we want to join in the world economic and keep up with the world, this should be changed. They said we have made many changed many thing from the past, such as long hair, long nails, wooden clogs, using hieroglyphs… all of them can be changed so Tet is not an exception. In tourism, Tet makes the cost of many services rocketing and even not available for you, causing lack of communication with your travel agents or can not visit any place because they are closed. This is not about the date. This special feeling is only happened when we feel the weather start little rain, all flowers are blossoming and see the number 30 on our lunar calendar. For tourist, you can have a change to see the unique in our cultural, enjoy a non-busy street during these days. And if you are lucky, you can join with a local family and blend yourself in our feeling to deeply understand it. Another Tet has gone and we are now facing this question again. This time, we would like to hear your thought about this. Your opinion could make us realize to change this event or make us feel more confident to continue what we are doing. Look forward to any comments. Each year, after the New Year Year about 2 weeks, everybody in Vietnam is getting excited and looking forward to our biggest holiday – Tet. We need to work harder than normal days, concentrate to finish all the undone jobs and also arrange some future works after the holiday to have a long holiday without worrying about anything at work. However, we are “lucky” to have our office not in the Old Quarter like others, but right next to a big kumquat garden. During January, they are always busy for customers who comes to check and buy a nice and fortunate kumquat to bring home for Tet. Kumquat is an unique mascots in Tet in the North of Vietnam with Peach Blossom, while Apricot Blossom is represented for the South. During a years, for 12 months, this garden has witnessed many changes, after each months. From the worst to the most beautiful that not many offices in Hanoi can have. This was what happened after Tet in 2015. Trees had been bought and the garden looked like a mess! Then the farmers start fixing it with new soil, using calcium carbonate to prevent worms, gathering left trees to arrange them in line. New trees are arrived for the coming season. The thing is after Tet, these tree didn’t die. You can choose to throw it away or sell it back to the farmer or hire them to take care of your tree for the next Tet if you really like it’s posture. These trees have to be green for the whole year and not have fruits until one month before Tet. This is a special technique of the farmers and they spend about 11 months to take care their garden while having a second job like others people. Finally, when we are about one week to reach Tet at the moment, these trees are ready to bring home and getting decorated to stand out in the living room. We could be distracted by this lovely view but our team are proud to have it outside our window! Happy a New Year of Monkey! Wish you are always full of energy and happiness like him! Our last temples today will be the Bayon – a popular temple that have seen somewhere. The giant stone faces of Bayon have become one for the most recognizable images connected to classic Khmer art and architecture. Most of towers sporting four carved faces oriented toward the cardinal points. Don’t go in a common way. Most temples in Angkor have 4 gates with the main gate faces to the East and most of them can be entered. So, to avoid crowded people, let take start at the opposite gate in the West. Travel in low season, from June to September. But, please aware that this is also summer time and the heat could be easy to knock you down. Be patient but fast at the same time! Even following 2 things above, these temples are always busy. Just let people go first then you will have time for your photos and do it quickly if you don’t want to stay there forever. Now, bring your camera with a huge memory card and a big bottle of water then you are ready for this!